Are you looking for the top notch Colorado Cannabis Tours? Look no further and book with the company who pioneered cannabis tourism since 2013! My 420 Tours will take you on an insiders experience like no other marijuana tourism company can provide. Your cannabis tour begins at a popular downtown Denver 420 friendly hotel and transports you on a luxury limo bus that is 420 friendly! The experience of a lifetime includes VIP access at Denver’s top retail marijuana dispensaries, with great discounts, giveaways, and a fully guided buying experience. My 420 Tours gets you exclusive access to one of Colorado’s most advanced industrial grow facilities for an insider’s look at marijuana growing and cultivation. Check out the entire growing process from clone to packaging and feel free to take pictures! Our educated tour guides and onsite growers will answer your questions, give you growing tips, and more. There are no words that explain just how cool it is to see thousands of marijuana plants legally growing in an industrial grow facility. Also included on your trip is a complimentary meal at a local Denver restaurant followed by a visit to one of the world’s top glass shops or an evening event. 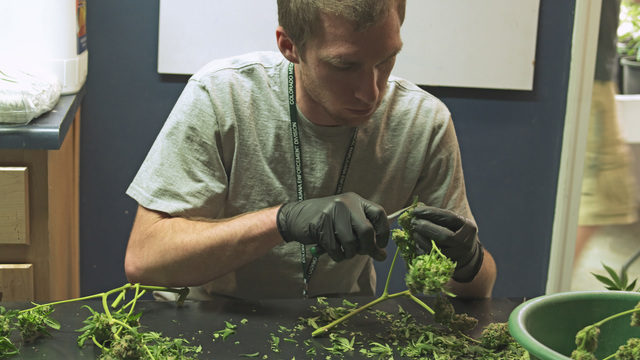 These Colorado marijuana tours last about 4 hours, depending on the day. Thursday and Friday are evening 420 tours and include an evening 420 event such as a visit to a craft brewery or Denver foody tour.